I have great pleasure in announcing that my first book, Working with Angelic Signatures, is available now! 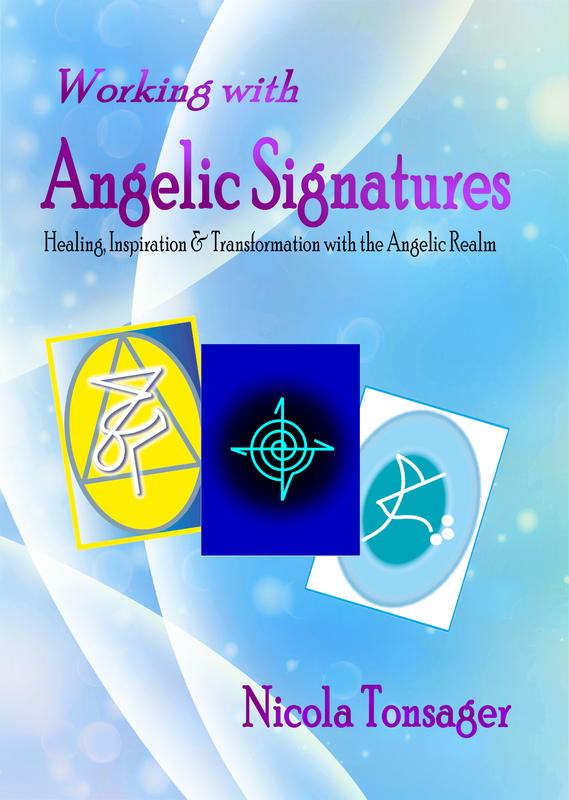 Working with Angelic Signatures shares with you in a practical yet inspirational way how to work with Angelic Signatures. From Archangel Michael to Metatron, from Ascended Master Sandana to Quan Yin, this empowering book will help you to gain confidence and clarity when working with the angelic realm. Working with Angelic Signatures is available from Amazon and other retailers. Would you like your experience with angels to be more tangible? Would you love to have more confidence when working with them? Do you want to invite them to engage in your life more fully? Working with Angelic Signatures will introduce you to the concept and energy of working with angels through their signatures which hold an aspect of their energy, as our signatures do our energy. In working with the angelic realm in this way you can strengthen your connection to angels, enhance your awareness and recognition of their energies and receive a greater validation of your connection to them and your work with them. In working with their signatures, your confidence and trust in your angelic friends, and your experience and interaction with them will grow and flourish. Working with Angelic Signatures is a practical yet inspirational and empowering way of drawing closer to the angelic realm.